Ceramic floors are tough, and depending on your specific tile, tend to do a great job of not collecting dirt and soil as quickly as some other floor types. By sealing the tile and grout can make your floor even less susceptible to soiling! And if your tile has already built up a healthy amount of dirt, we can take care of that too. Using a variety of techniques we can revitalize both your tile and grout to like new condition! 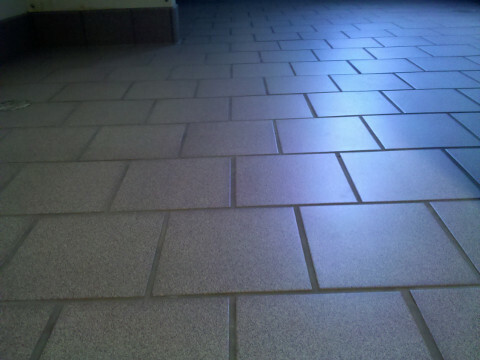 Our professionally trained technicians can scrub, steam, or blast away dirt from even the most stubborn floors and finish up by sealing the porous grout and tile to keep your floors cleaner, longer!